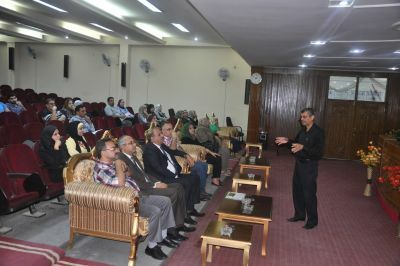 The Department of Electromechanical Engineering at the University of Technology held a workshop on the reliability of ABET delivered by Dr. Jalal Mohammed Jalil with the Quality Assurance and University Performance Department at Al-Kindi Hall in the presence of the heads of branches and a large number of professors and lecturer . At the workshop, an assessment of the students' outputs (A-K) was assigned to the faculty members. 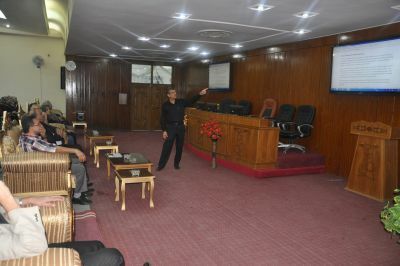 A study of the electronic assessment conducted by ABET for the Energy and Renewable Energy Program was also carried out. This workshop is part of a series of workshops organized by the department in this academic year to follow the procedures necessary to achieve global reliability.